What Makes A Successful & Great Jewellery Store? Going out for jewellery shopping can be marvellous fun for ladies- the quote carries immense weight, “ Diamonds are considered as a girl’s best friend,” and walking in to a glistening array of picturesque things certainly appear to put a smile on a girl’s face! Most jewellery stores have only watches and rings on display- but not all stores are that boring. An Array of Stockists. A scorching, high class store knows that to actually magnetize a girl’s attention, you need the best brands. Designer such as GN Jewellers are great to have on display. Stores also profile some extra-ordinary jewellery designers from around the globe. If you notice a jewellery store with a variety of brand selection, you’re able to have the confidence that they are updated with latest trends and can bring you the most unique and latest styles in rings, earrings, necklaces and other accessories. Custom Design. Store like GN Jewellers not only sell you dazzling pieces on the spot, but also produce the state-of-art designs. If you have an upcoming special celebration, there’s no better option to recall it by creating your very own ring or jewellery! Find a jewellery retail store like GN Jewellers with in-house designers who can work with you on this type of project. Other Services. Sometimes people aren’t looking for a new piece of jewellery; they just desire to maintain the existing one. Great jewellery store will able to deliver you services like cleaning of the ring that seem to be tarnishing or repairs for broken clasps and links. You may also require a distinct inscription inscribed on a fine piece of jewellery for a gift, and basically a sound and good jewellery store will have a trouble-free service in order to sort this out for you. Sales! There’s nothing better than a beautiful ring in this world, except a stunning ring on sale. Discover jewellery store with abundant of specials and constant advertised sales. Don’t be Fooled. There’s much more to jewellery stores than just rings and watches. Shop around for a store that delivers you the gleaming experience you deserve! Visit GN Jewellers store or search their range of diamond bracelets, engagement rings, necklaces and jewellery online.  Jewellery store Melbourne, GN Jewellers offers exquisite vintage and contemporary jewellery for all occasions in Melbourne CBD.